The Reverend Dr. Ja A. Jahannes passed away on Sunday, July 5, 2015 at Candler Hospital surrounded by his loving family. Dr. Ja Jahannes taught for many years at Savannah State University, and also served as Pastor at Abysinnia Baptist Church. Dr. Ja A. Jahannes was a psychologist whose work has appeared in such diverse publications as the Journal of Ethnic Studies, Vital Speeches, the Journal of the National Medical Association, Upscale, Ebony, the Black Scholar, Encore, Class, Black Issues in Higher Education and the Saturday Review. He served as Associate Vice President for Development and member of faculty at Lincoln University (PA); Visiting Professor at Haile Selassie University, (now The University of Ethiopia) Addis Ababa, Ethiopia; Chair of the Departments of Professional Studies and Chair of the Department of Liberal Studies, Kyambogo University, Kampala, Uganda; Dean of the School of Education at Hampton University, and Dean of the School of Humanities and Social Sciences at Savannah State University. He received a B. A. degree with honors from Lincoln University (PA), two Master’s degrees from Hampton University and a Ph.D. degree in Behavioral Sciences from the University of Delaware. “He never stopped producing. He was always doing something wonderful,” said Clara Agüero, the wife of late Dr. Jahannes. He influenced and inspired so many students in the arts, in the humanities, in theater and music, and through all of the associations he was a part of. 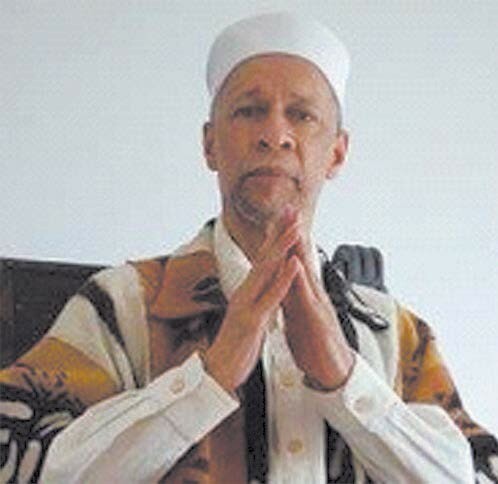 Dr. Ja A. Jahannes was a writer, novelist, playwright, psychologist, educator, and poet.. He has lectured in Africa, Asia, South America and the Middle East. Dr. Jahannes has been a pioneering scholar educator in psychology. He is a frequent keynote speaker. The latest play he was working on, “I Thought My Soul Would Rise and Fly,” will be presented at the Jewish Educational Alliance later this month. Adams Funeral Services, Inc. is in charge of the funeral arrangements.